PWK carburettors are known for their performance and their simplicity in adjustment. This is the reason why OE manufacturers equip their cross machines with this carb. PWK carburetors have a "D" -shaped chromed slide that provides an improved response time to the opening of the throttle, enabling a quicker race start. 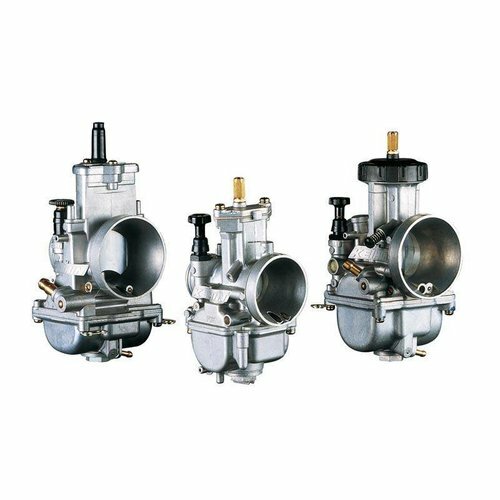 Available in (Ø 35, 36 & 38 mm), the PWK Quad Vent carburetors are equipped with a special system that eliminates pressure differences in the float chamber during multiple jumps. Perfect upgrade for, for example, Honda, Yamaha and Suzuki 2-stroke machines that are supplied with a Mikuni or Round slide Keihin as standard.